The idea is to look back on the great masters of game design over the past few decades and extract some useful techniques from their games that we can immediately use in our own. I’ll stick to specific examples as much as possible. The first one comes from Shigeru Miyamoto himself, and although it might be known by other names, I’m going to call it “The Rule of Threes.” This is a practical level design technique that introduces the player to new challenges gradually. Before you challenge the player with a new feature, you first present it in 3 easy but varied situations. This technique is a favorite of Shigeru Miyamoto, and really helped differentiate his games from all the other punishingly difficult NES titles of the 1980’s. This technique does not makes your games “easier,” however. Instead, it makes your games more “learnable” by making sure that the player has been “primed” before the real challenges begin. The best part is, you don’t do this with boring, pedantic tutorials. You just do it with gameplay. As Raph Koster would say, the player learns by having fun. Since this is Practical Game Design, I’ll explain the technique through example. 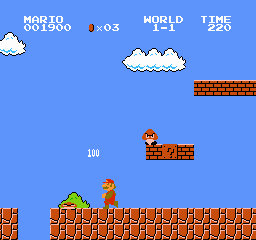 Let’s take a look at the original Super Mario Bros. and see how the Goomba is introduced. The first time we ever see the Goomba, he’s just walking straight towards us. No tricks, nothing fancy: there’s just one of them and he just slowly lumbers in our direction. Note that this is the easiest possible way to challenge the player with a Goomba. For most of us, this isn’t much of a problem. Stomp him or hop over him, and you’re good. But, back in 1986, this being the first video game many people had ever played, many players would have been killed by that first Goomba. But that’s no big deal – one life down and start from the beginning, no progress lost. Try again. Note also that it is literally impossible to get past the first Goomba without learning the game’s most fundamental skill: jumping. This means that the game designer can assume that any player that gets past this initial point knows how to jump. Okay, first Goomba has been jumped over. Move to the right a bit, and here we see our second Goomba. He’s bouncing back and forth between two pipes, and we are standing on a pipe. This is one step up from the easiest possible Goomba challenge. More importantly, however, this shows us a new dimension to the Goomba. 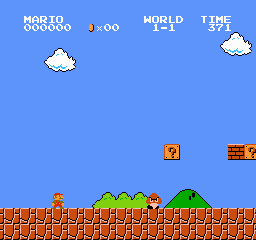 Before the player needed to merely stomp the Goomba or jump and let it pass. Now we have a different situation: it will bounce back and forth when it hits a pipe. The confined space changes the nature of the challenge. 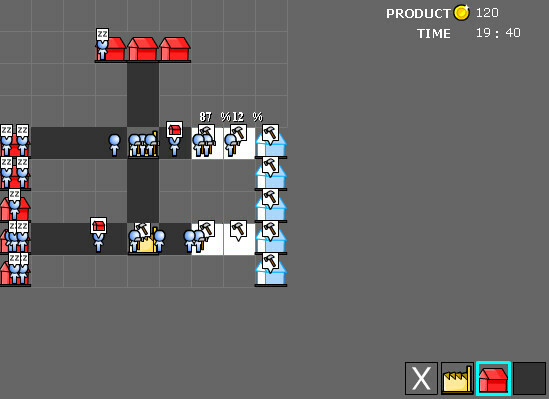 This one isn’t particularly difficult, either, and the player is likely to get past this stage fairly quickly. 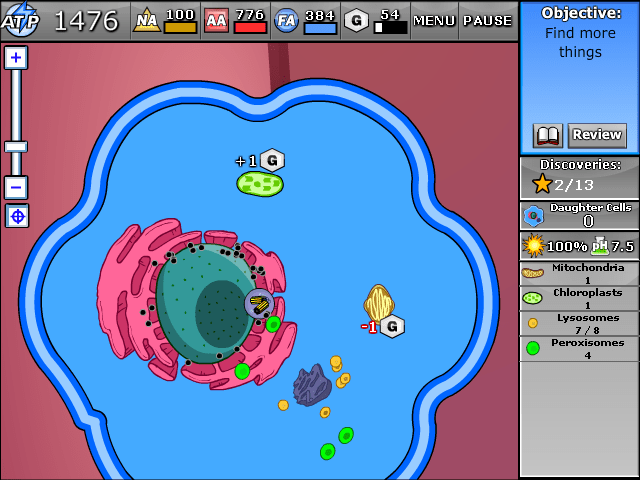 As soon as the player is past this point, the designer can assume the player has absorbed his first two lessons. A variation on the challenge we were just given, here is a wider span of two pipes, with two goombas moving back and forth together. This one is interesting, because it’s both easier and harder than the last challenge. It’s easier because there’s more space, and because you can stomp both Goombas at once, and harder because there’s twice as many of them, so that even if you get one, you might still die. It only takes about 10 seconds to make it through these three challenges, but already the player has been given a very good introduction on the game’s first enemy type. We’ve learned the basic skill we need to deal with it (jumping), and we’ve been given a quick but representative sample of the various situations in which Goombas will be thrown at us. This might seem a bit simplistic, but there are plenty of games in which the player is not properly “primed” for new challenges before they’re presented. Instead, the player’s first encounter with the new challenge is to be beaten in the face with it unexpectedly. Not only is this frustrating, but the player is unlikely to learn much from this scenario. The Rule of Threes is a great solution to this problem. So, back to Super Mario Bros. Now that Miyamoto has introduced us to the Goomba, what happens next? Step 4: NOW let ’em have it! Here we have Goombas falling off of ledges and threatening the player from above. This is really the first time in the game where Goombas are presented as a challenging threat. Imagine if this was the first thing that greeted you upon playing the game. Sure, plenty of us hard-core gamers with decades of experience today would have no problem with it, but as a 5 year old in 1989, I can imagine being plenty frustrated. That simple 10-second build up of gameplay really helped prime me for this situation back then, and it will work the same way for players today. This is what’s really important about level progression. In essence, you’re building a learning curriculum for the player. You present the challenges in isolation before you ramp things up, so the player learns individual skills first, which can be layered together into more complex skills later. 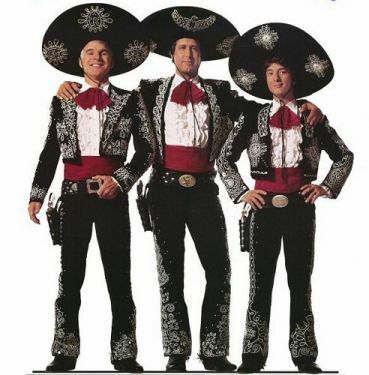 The Rule of Threes can be used across many scales, both in and out of levels themselves. 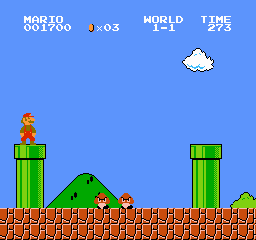 Each world in Super Mario Bros. consists of 3 preliminary levels, and then a challenging “castle” level, after all. In this way the Rule of Threes is applied throughout the structure of Super Mario Bros., kind of like a fractal. 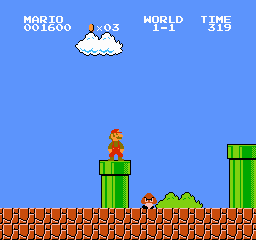 Rather than just let the player deal with Koopa and meet instant death, the player is given a short training course on fireballs. First, a fireball comes straight at you in isolation. 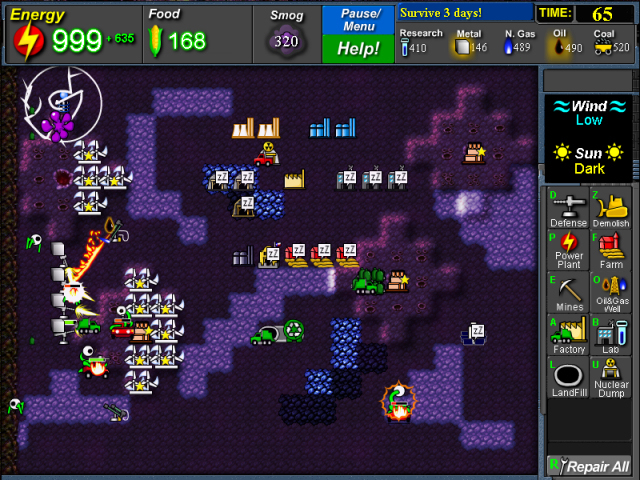 Then, the terrain changes and the fireballs come at different heights. Finally, the fireballs start to come more quickly. The player has been “primed” for battling Koopa before the fight has even begun. Obviously, there’s nothing magical about the number three. I picked it as it seems like a nice rule of thumb – once you’ve shown something to the player a minimum of three times in different situations, you can start to mix it up without being completely unfair. There’s plenty of other useful techniques and interesting structural lessons to be learned here, but I’ll just keep this short for now and leave those for future posts. Let me know what you think! Is this helpful to anybody? It’s been a while, and this post is to explain where I’ve been this whole time. Last anyone was listening, I was hard at work on Super Energy Metropolis, the sequel to Super Energy Apocalypse, and doing some prototypes of that game. Well, life threw me a few monkey wrenches between then and now and I’m here to explain where I’ve been. 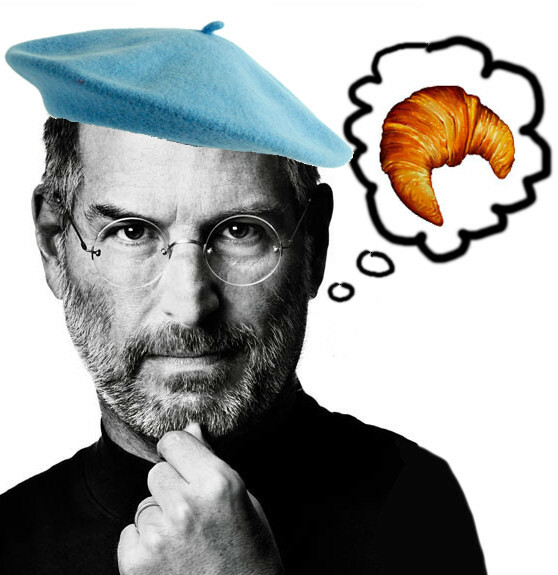 First, I got married, then I got a job, and then I decided I really ought to finish my Master’s thesis. So, I got married last May and took some time off. 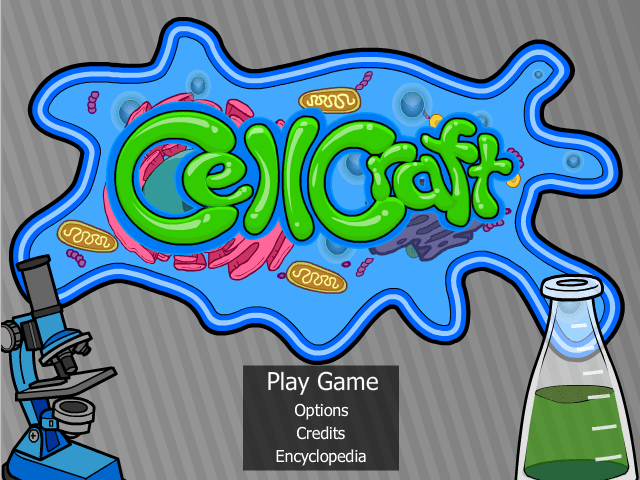 Then I was hired by Anthony Pecorella, an employee of Kongregate.com, to work on a side project of his called CellCraft. Anthony got a grant from the McArthur foundation to do an educational game, and contacted me after playing Energy Apocalypse. Some press releases about the project: here’s one from Wake Forest and here’s one from Gamasutra. Now, the other half of my work day has been spent finishing my Master’s thesis. HARC, being amazing as usual, decided to fund the thesis, which is largely why I got the paper done in less than a year. This is also why Super Energy Metropolis has yet to materialize. I’ll probably do SEM some day, but for now it’s tabled indefinitely. I’ve just got too many irons in the fire and HARC is interested in other things right now. So, sad as it is to say, Super Energy Metropolis will have to wait for a while before it sees the light of day. But rest assured, dear gamers, that we’ve got tons of other cool stuff coming out the gate here at Brain Juice Games! Then, I went to Architecture school and learned how to make video games. I know what you guys are thinking – “What in tarnation could Architecture school possibly have to do with video games?” Well, in detail, not a lot at all. In principle, quite a bit.